Following the Ontario government’s sudden end to an incentive program for electric and hydrogen vehicles, Toronto-area resident Jeff Sturch, who had drilled a hole through his house to install a charger for a Tesla Model 3, is not sure he can afford it anymore, CBC News is reporting. “Basically, I’m screwed out of that non-refundable deposit”, said Sturch, who was counting on a $14,000 rebate from the province when he made the down payment on the electric car back in 2017. Now, he’s trying to figure out if he can afford the $63,400 car at all. 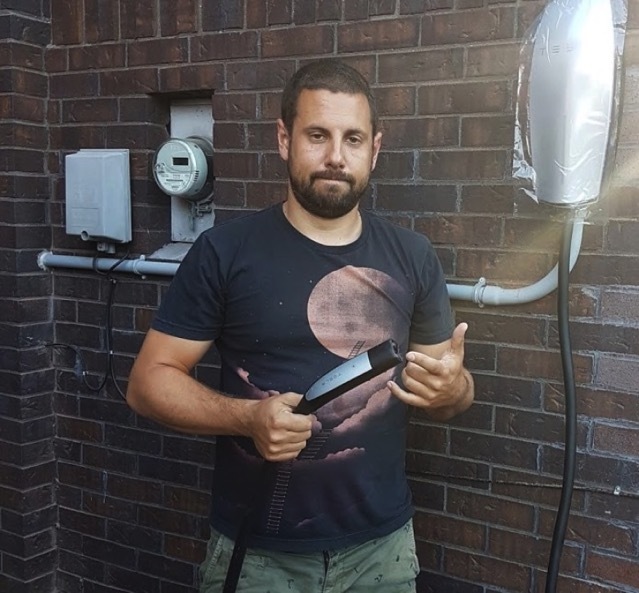 Sturch said that when he decided to order the Tesla, he was also counting on the $700 rebate for its charger that was listed on the Ontario government’s website as part of the Electric Vehicle Charging Incentive program. Without the rebate, the charger will cost $1,400. Because Tesla does not have dealers and sells directly to consumers, some customers say they feel like they’ve been unfairly targeted. Thiago Neves is another of them. The Brampton, Ont., man will pick up his Tesla Model 3 on Wednesday, but he is also missing out on the $14,000 rebate because he’s receiving his car after a July 11 deadline. Charging stations bought and installed before July 11 will still be eligible if the application is submitted within 60 days. Sturch said his car isn’t expected to arrive for another one to three months, and he can’t apply for the rebate until it does.